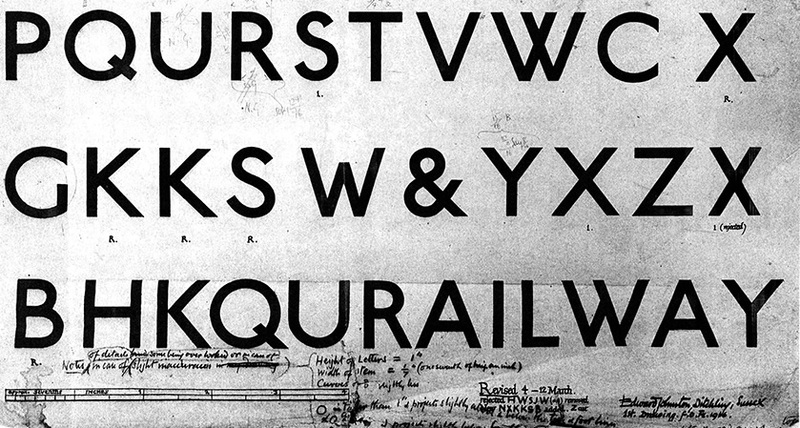 London Underground’s hundred-year-old typeface is iconic. Designed by Edward Johnston in 1915, it almost singlehandedly revived the sans-serif. Yet after a century of evolution some of the things that originally made it special have gradually disappeared. 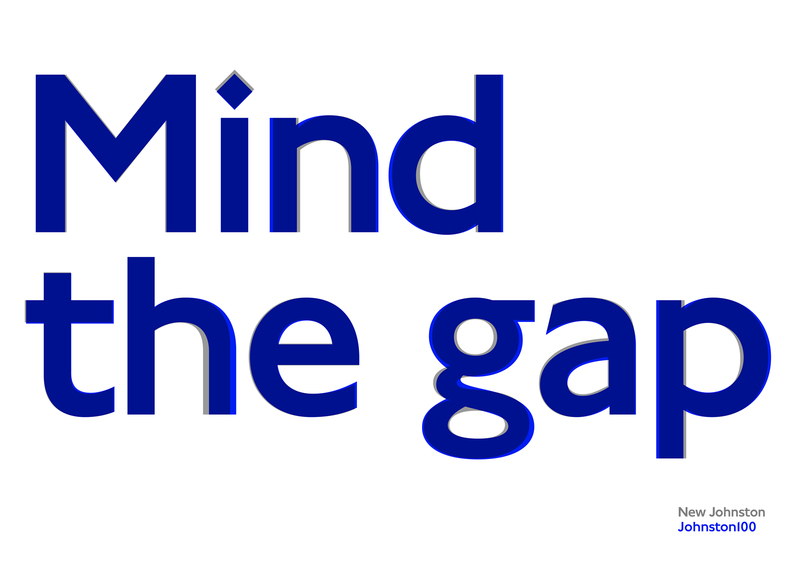 We look at the typeface’s history and at TfL’s ambitious attempt to rediscover its soul. There are few typefaces that are instantly recognisable the world over. Fewer still that can be singularly associated with a place or organisation. 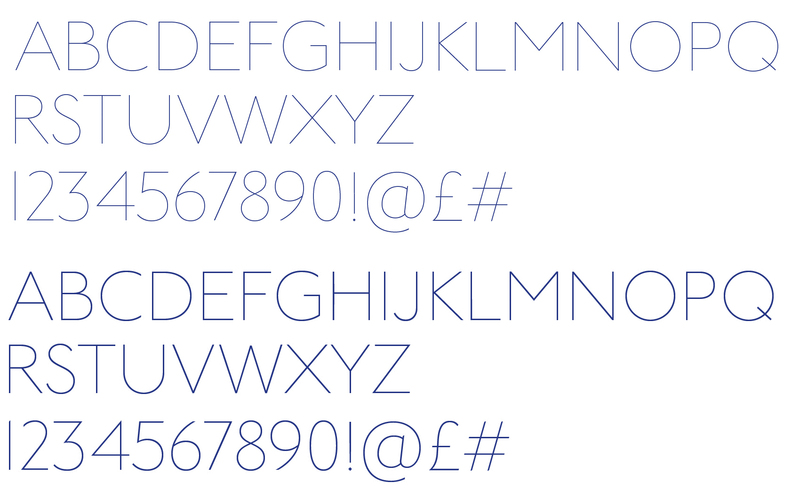 Johnston – or “the London Underground font” as most people would perhaps describe it – is without doubt one of them. About almost any other typeface the above statement would seem full of hyperbole (or at least a good dash of PR), with Johnston however it is simply a statement of fact. With its integrity and usage preciously guarded first by London Underground and then by TfL for over a hundred years, a permanent fixture on London’s buses and stations. Yet behind this image of permanence lies a history of revolutionary design, evolution and a close brush with destruction. And now, on its hundredth birthday, the culmination of a huge project aimed at taking it right back to its original form (but in a way fitted to the modern age). Johnston may be named after its designer (on whom more shortly) but it owes its existence to one of the London Underground’s great visionaries – Frank Pick.1 Born in Lincolnshire in 1878, Pick was serving as assistant to Sir George Gibb at the North Eastern Railway when Gibb was invited to take over as Managing Director of the Underground Electric Railways Company of London in 1906. 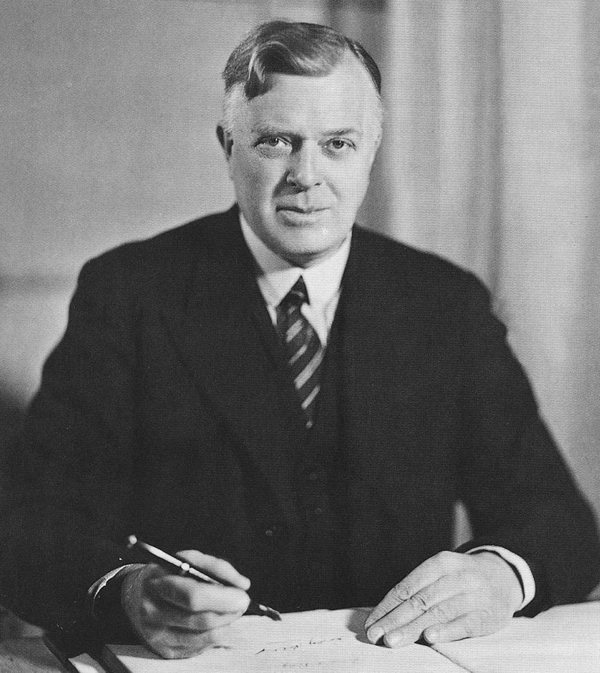 Gibb invited Pick to join him there and thus began the career of the man who over time, in partnership with the equally influential Lord Ashfield, would transform the Underground and London Transport from a disjointed collection of companies and transport modes into a coherent, well-regarded whole. 1. Interestingly, Frank Pick only received one state honour in his life and it wasn’t a British one. He was given the Soviet Order of Lenin in recognition of London Underground’s help designing the Moscow metro. His time in charge would see the creation not just of the Johnston typeface, but also of the vast majority of Underground iconography that TfL still use today – the roundel, the Harry Beck Tube Map, the high-art posters and more. Pick’s interest in design wasn’t due to a particular talent for it himself, but simply because he had come to recognise that good design plays an intrinsic role in the way people (and in Pick’s particular case passengers) move through spaces and absorb information. This is something that even today many large organisations struggle to recognise. Indeed TfL’s recently released Design Idiom goes so far as to make it explicit in order to ensure future station designers acknowledge this principle. Rarer still is it something perfectly understood by senior management within those organisations. During Pick’s leadership of the Underground, however, this was certainly true. Pick would not lead the entire organisation until 1928, but by 1912 he was already its Publicity Manager and it was then that Pick began his quest for a unified typeface to use throughout the entirety of the London Underground. Pick considered a number of options, such as designing his own typeface or using the same one Eric Gill had designed for W.H. Smith2, before eventually admitting defeat. 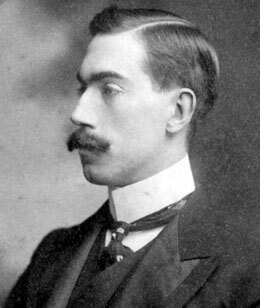 In 1913 he commissioned Edward Johnston to do the job. 2. Pick rejected the W.H. Smith typeface because he felt it would confuse passengers. He likely didn’t realise that he was already indirectly looking at Edward Johnston’s work. 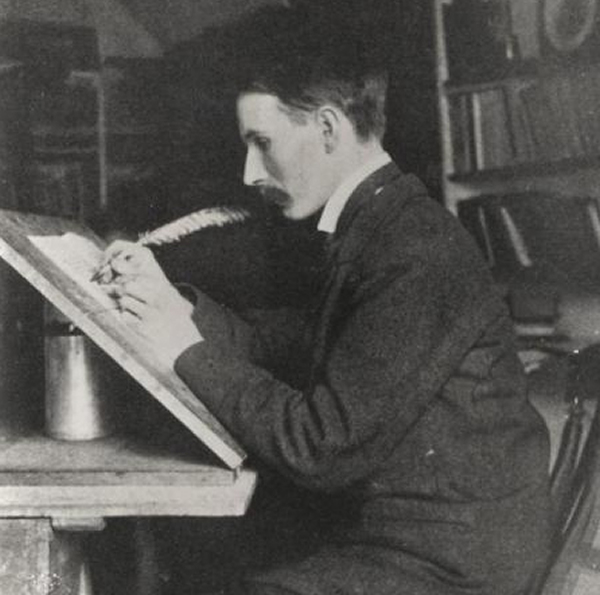 Gill was one of his students and the W.H. Smith typeface was heavily influenced by Johnston’s work on calligraphy (note the lowercase ‘q’ as you’ll see it again later). Image courtesy of Mike Ashworth. 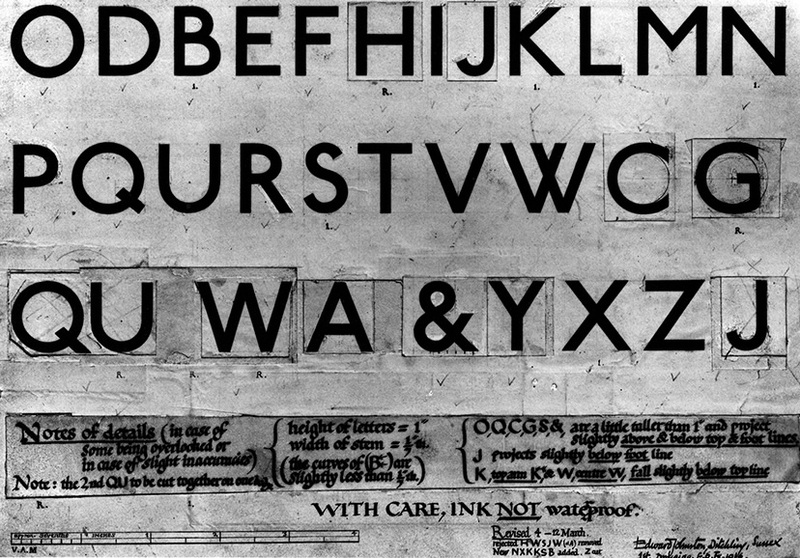 Thirty-three years old in 1913, Johnston was one of typography’s rising stars. He had spent many years mastering and reviving the art of calligraphy to the point where today, alongside German typographer Rudolf Koch, he is considered one of the founders of the modern art. He was teaching this, and designing letterforms, when Pick was introduced to him by Westminster Press owner Gerald Meynell (Westminster Press were one of London Underground’s print contractors at the time). 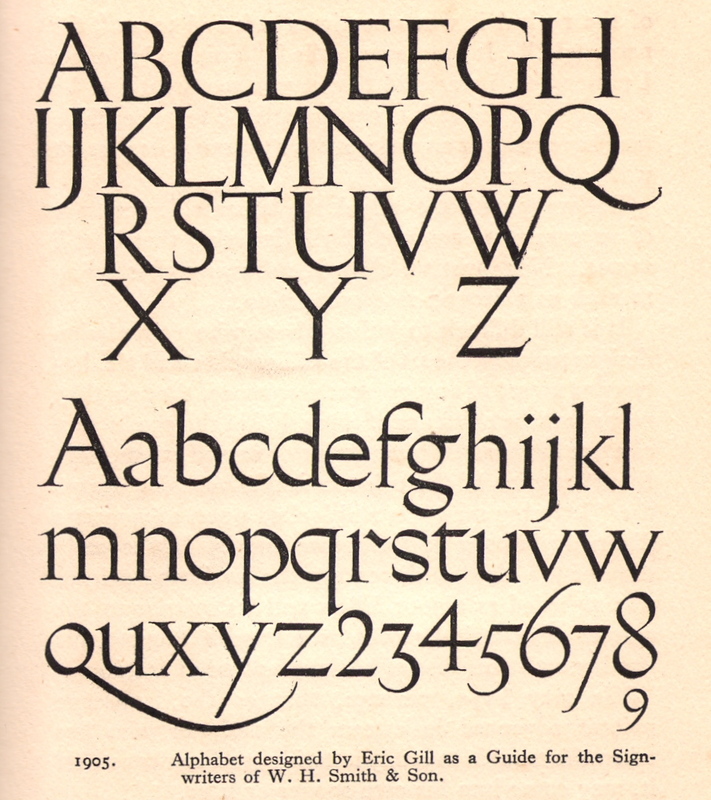 Pick briefed Johnston that he wanted a typeface with “the bold simplicity of the authentic lettering of the finest periods” and which was “a strong and unmistakable symbol.” In 1915 Johnston came back with something genuinely revolutionary – the block-letter, sans-serif typeface that we know today. In Johnston I have lost confidence. Despite all he did for us…he has undone too much by forsaking his standard of the Roman alphabet, giving the world, without safeguard or explanation, his block letters which disfigure our modern life. His prestige has obscured their vulgarity and commercialism. Johnston’s talent and laser-focused commitment to producing the best typeface he could, however, meant that the design of a sans-serif was, arguably for the first time, undertaken with the same level of skill and talent as was normally reserved for ‘better’ letterforms. With Johnston Sans (or rather “Underground Block Letter” as it was to Johnston himself) Edward Johnston singlehandedly invented the modern sans-serif and made it an acceptable (and well regarded) form of lettering again. Johnston took those principles and combined them with many of the lessons he had learned over the years from his studies of calligraphy (one of the reasons for the diamonds and triangles one sees in the final result, reminiscent of a pen nib). He delivered the first usable examples to Pick in 1915, who was delighted. The resulting typeface would be the undisputed typeface of London Underground for the next six decades. That status, however, would not last. By the 1970s Johnston’s usage and supremacy was under serious threat. When Eiichi Kono walked into the offices of design and advertising agency Banks & Miles in July 1979, he had little idea of the task on which he was about to embark. A recent graduate of the London College of Printing, the young Japanese graduate had been, in part, inspired to leave Japan and study typography in London on a previous visit to the city when he had fallen in love with the design of its Underground stations – in particular the roundel and the typeface that was never far away from it. The symbol was accompanied with a simple, elegant, slightly old-fashioned alphabet. At first, I thought it was Gill Sans; it wasn’t Futura, and definitely not my then favourite, Helvetica. Kono’s typographic talent had not gone un-noticed during his studies by one of his course assessors, Colin Banks. The ‘Banks’ part of ‘Banks & Miles’, he had remembered Kono when a particularly challenging design job had landed on the agency’s doorstep which required a talented typographer. Miles offered Kono a job and Kono readily accepted, without even thinking to ask what it was he was being hired to do. When he arrived at work for the first time that day Colin Miles told him: Kono had been hired to save Johnston Sans. That Johnston needed saving at all seems incredible today, but by the end of the seventies the typeface had begin to show its age. We have a habit of thinking of typefaces as static creations, but like (and indeed because of) languages, typefaces must evolve or die. They change because new characters appear – such as the Euro symbol – and old ones suddenly become important again. Indeed the latter is one of the big reasons that TfL commissioned Monotype to renew the typeface today – we now live in the era of hashtags, email and twitter handles, all things that have seen previously little-used characters brought back into play. Johnston never designed a hash symbol for his original typeface, nor did he design an at symbol, because neither were really in use at the time.3. 3. Indeed this was precisely why email pioneer Ray Tomlinson chose the at symbol for email in 1972 – he looked at his Model 33 Teletype keyboard and selected the character he felt was least used. A similar problem faced London Underground in 1979. Increasingly on print materials and posters both London Underground and their advertising agencies were abandoning it in favour of the more flexible Helvetica or Univers Bold, because the truth was that at the time Johnston Sans wasn’t really a complete typeface at all. It certainly hadn’t been in 1915 when Johnston had first delivered it to Frank Pick, because at that time it was missing some rather critical characters. The author Douglas Adams would later describe himself as someone who loved deadlines because he loved “the whooshing noise they make as they go by.” It is a sentiment with which Edward Johnston would almost certainly have agreed – perfection was what mattered, not speed. Indeed this is the reason that 2016, rather than 2015, is really considered as the typeface’s 100th birthday – as it was only in 1916 that Johnston finally delivered something rather crucial – lowercase letters. 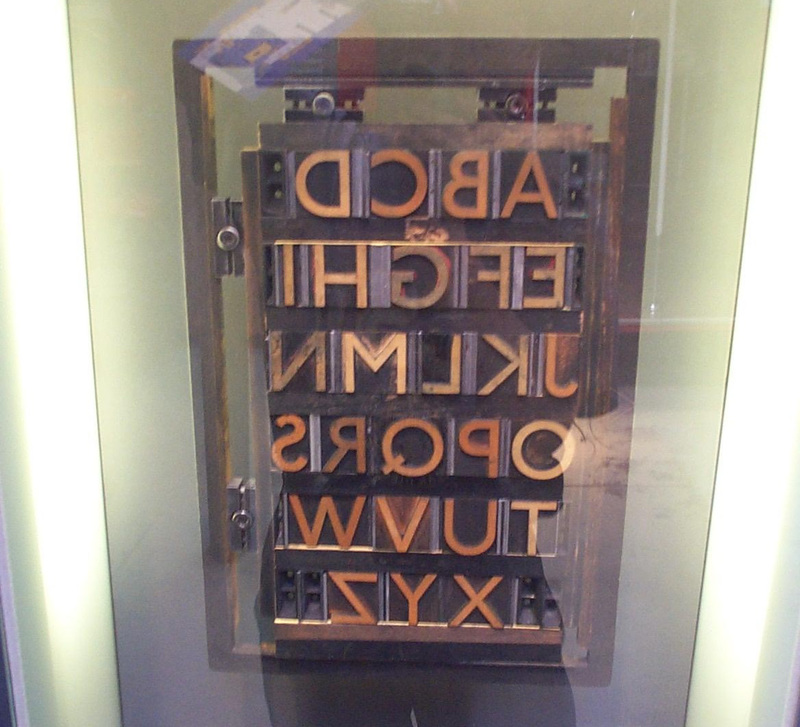 Printing blocks for Johnston at the London Transport museum. Photo by Kaihsu Tai. What would emerge to be a more critical problem over time though was that neither Pick nor Johnston had ever really expected it to be as successful, and ultimately as prevalent, as it gradually became. Pick had asked Johnston to design something primarily for signage and Johnston had done that to perfection, but this meant that there had been no thought given to how to use it at much smaller point sizes or other print-specific problems. It was also only available on wooden printing blocks which wore down over time and with copying. Both Johnston himself and others had made minor modifications to the typeface over time to try and mitigate these issues, but by 1979 there were just too many for London Underground to ignore. When a major branding exercise was kicked off in 1979 London Underground put the question on the table: should Johnston simply be abandoned entirely? Many of the agencies they approached suggested it should be. Again, Helvetica was touted as an alternative, as was Univers Bold. One agency however bucked the trend: Banks & Miles argued that Johnston should be retained and refined. It is perfectly reasonable for designers to want to change things and make their mark. But not changing something is a perfectly legitimate design decision. It can sometimes be better to retain the existing core and make modifications and perhaps improvements around the edges. Banks & Miles made the case that Johnston was core to the entire Underground experience. It was in its history and its soul. To get rid of it would be to lose a little bit of what the network was. Luckily, for the future, their argument won out. Banks & Miles got the contract and Eiichi got the chance to redesign one of the world’s greatest typefaces. Eiichi studied what documentation and ideas Johnston had left, and drew and traced letters by hand before filling them in with pen and altering them through photography and photocopy, creating new weights and experimenting to find sizes and standards that worked. He soon found, to his sadness, that in some cases he had to adapt or ignore some of Johnston’s original rules in order to make the typeface work well. At lower point sizes the x-height (the height of a lowercase ‘x’) having to be changed, for example. One of Eiichi’s design sketches, showing changes to the x-height. 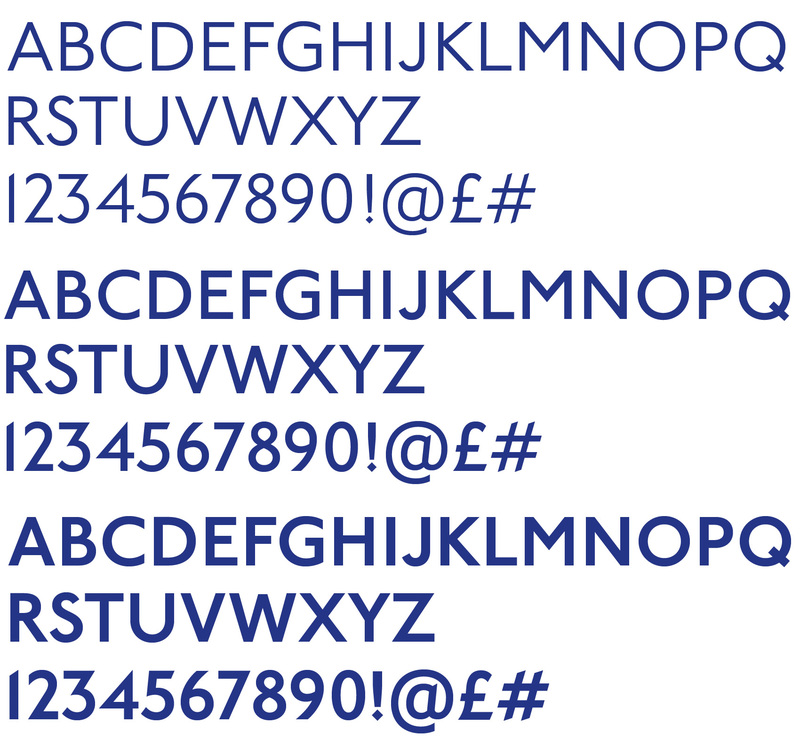 Nonetheless at the end of the process Eiichi Kono and Banks & Miles were able to deliver “New Johnston” – a typeface that, until now, was able to to meet the needs of London Underground and then TfL, which took on Johnston as its organisation-wide official typeface after its creation in 1998. In the end TfL took the plunge, and similarly decided to digitise New Johnston, building on work again carried out with Banks & Miles in 1992 to create the first PostScript Type 1 digital version of the font for use in desktop publishing and beyond. “New Johnston” compared, with thanks to Eiichi Kono. It was last year that TfL realised they had reached the point where Johnston was struggling once again. Partly this was due to the aforementioned lack of proper versions of things such as a hash symbol. That’s not to say they were absent completely – minor modifications over the years had given it basic versions of characters such as this and more, but it would have been hard to claim that they were truly in the spirit of Johnston’s original work. Similarly, just as one of the drivers of the Banks & Miles redesign had been the fact that the typeface was at that time still heavily reliant on wooden blocks, the digital print typeface that Banks & Miles had created was now struggling to adapt to the post-print world of websites, apps and retina screens. Finally, there was also the growing feeling within key sections of the organisation that after 100 years of evolution, the typeface was at risk suffering from the ‘Triggers broom’ effect: After thousands of tiny tweaks and changes, just how much of Johnston’s original ideals could be said to remain? There was certainly no escaping the fact that Johnston had changed. Even though that had been largely at the hands of careful craftsmen such as Eric Gill, Percy Delf-Smith and Eiichi Kono4, each step had taken the typeface a little bit further away from the source. To the general public this may not have been perceptible on a conscious level, but as Frank Pick himself had been critically aware, good design isn’t just about what the passenger sees, it’s about what they subconsciously absorb. This was something that Edward Johnston had sweated and laboured over, but not all of his successors had necessarily managed to keep. Take Johnston’s original design for the lowercase ‘g’, for example. This originally featured a subtle tear-drop shape, but at some point during its path to the current version of New Johnston this had been lost. Why? Who did it? What was the purpose? These were questions that were increasingly hard for the typeface’s most recent guardians to understand or answer. 4. 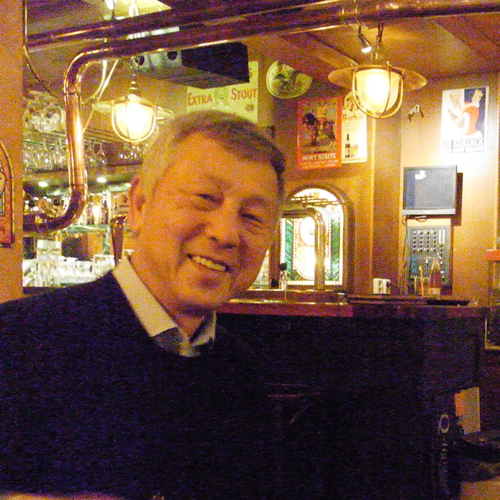 Kono would go on to create typefaces such as the award-winning Meiryo for Windows Vista and, most recently, CCArtSans. 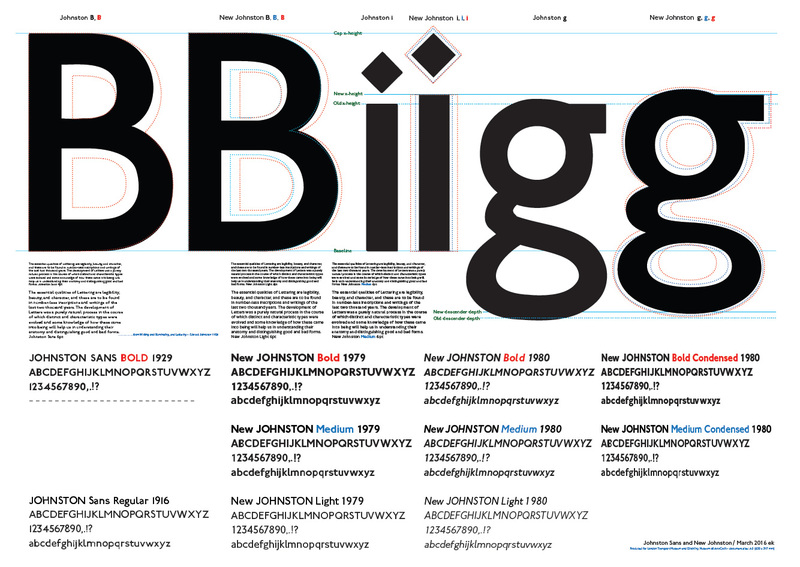 TfL New Johnston Book, one of the most recent versions of the typeface. 5. Green’s own dedication to getting his stations right was so great that it would have fatal consequences. He died aged only 33 in 1908, his health shattered by the effort. You can read more about him here. The answer to that question was Monotype. More specifically, Type Director Nadine Chahine, Senior Type Designer Malou Verlomme and their team. As with Pick’s original brief to Johnston, TfL’s brief to Monotype was simple to say but deceptively difficult to achieve: Ignore New Johnston. See if it is possible to go back to Johnston’s original typeface and work from that. Take it as the base, fill in the gaps and add then add the extra weights now needed to use Johnston effectively online, on mobile and elsewhere. For Chahine, Verlomme et al. that meant extensive time and research looking at Johnston’s original drawings and designs. It’s a process she has described as trying to go back to the original ‘soul’ of the typeface. That research left the Monotype team confident that it was indeed possible to work once again from original Johnston, just as Kono had done in 1979, and still have something that met all of TfL’s needs. One of Johnston’s original designs, close to the final typeface he delivered. 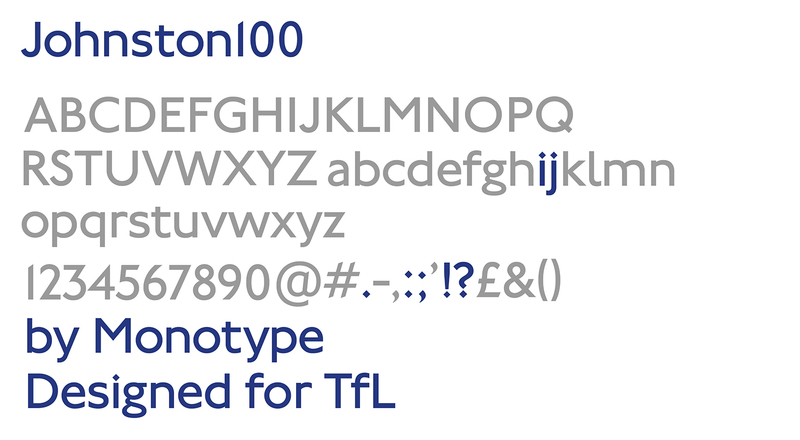 The results of Monotype’s effort is the newly-christened Johnston100 seen in the images above. It adds two new weights (thin and extra thin) and has a number of other technical tweaks that set the typeface up properly for modern usage. Johnston100 features proportional figures rather than tabular ones, for example. This means that whereas the digits within it used to have fixed-width spacing (a perfectly appropriate thing for a typeface designed for displaying basic numerical lists and signage) they now behave the same as its letters. Another early design. Note the ‘g’ and the interesting ‘q’. Many of the other obvious changes over New Johnston, however, are actually not changes at all but a return of features lost over the years. Sometimes this loss was accidental or due to pressures at the time to simplify the typeface. In other cases it was the result of the explicit need to simplify it during the early days of digital printing and screen display. None of this is necessary now and thus with Johnston100 they are restored. The aforementioned tear-drop ‘g’, for example, is back as are a whole host of small flourishes. None of these were accidental. They were what Edward Johnston had used to prevented the original typeface from feeling cold and mechanical and thus overcome the public objections (and negative perceptions) associated with sans-serifs at the time. Our brief to Monotype was to go back to the original principles of Johnston, to reflect on the way the font is now, and see what we might have lost in its 100-year-journey. We didn’t want to redesign it, but we did know that certain things, for various reasons, had changed. Interestingly the biggest way in which the typeface had changed over the years, however, was in its width. The Monotype team discovered that, over the years, Johnston had gradually become narrower. The changes were always marginal and thus it wasn’t obvious from revision to revision. Comparing the current iteration of New Johnston with Edward Johnston’s original work though it was surprisingly clear that over the course of its hundred year history the difference was substantial. Johnston100 restores much of the original width, and the overlayed text below shows just how noticable the difference is. Overlaying Johnston100 over New Johnston highlights the differences in character width. Notice the far wider ‘h’. Finally, Monotype added the characters the typeface was missing, using Johnston’s original designs to try and ensure that this was done in a way that, to quote Chahine again, felt consistent with his intentions and the typeface’s ‘soul.’ New Johnston’s hash symbol, for example, is a simple sans-serif form that would look at home in Helvetica. Johnston100’s carries the slanted, pen-nib-reminiscent corners it is easy to suspect that Edward Johnston himself would have given it. As TfL’s presence expands beyond in stations to digital mediums including apps and social media, the updated typeface known as Johnston100 contains subtle changes to make it fit for purpose in the 21st century. This includes never-before designed symbols, such as # and @, which are now widely used in an environment where digital communications are as important as print. The importance of the work on this expanded character-set should not be ignored. It would be easy to sniff at the need for a decent hash or at-symbol for ‘the modern world,’ but it was not just those characters that needed adding. Edward Johnston likely never realised that one day his typeface would need to work in far more languages than English, and Frank Pick likely never asked. In multicultural London today, however, that is vital and Johnston100 adds more accented characters and the diacritics necessary to be able to do that. Ultimately, only time will tell how well Johnston100 will stand up to use. The important thing right now though is that the typeface’s story is set to continue. Edward Johnston’s genius birthed it, and got the typeface through to the seventies (with a little bit of first aid from the likes of Gill and Delf-Smith along the way). In 1979 Kono performed the life-saving procedure that has kept it stable until now. TfL will be hoping that Monotype’s full reconstructive surgery will now set up for the future. That future officially begins in July when it will start to appear on posters and Tube maps. TfL have yet to reveal when and where the typeface will make its official debut on signage or station assets, but given its closer similarity to the original typeface than New Johnston (and the noticeable difference in widths visible above), the betting money here at LR Towers is on it being somewhere where sympathetic station improvement work is already being planned or underway. Holland Park would be a prime candidate under this thinking, where perhaps the opportunity to pair Johnston100 on the platforms with whatever assets there London Underground decide to preserve might be too tempting an opportunity for the organisation to miss. It also seems likely that Crossrail – or rather the Elizabeth Line – will be the first member of the TfL family able to boast its presence across the entirety of its length. Johnston100 on the Elizabeth Line and Underground roundels. Wherever it makes its debut though one thing seems certain. The future of Johnston is secure. And, returning to how this article began, it is London’s typeface. Of that there can be no doubt. Through his genius and inspiration, Edward Johnston created a silent but reassuring voice through which a city has spoken to four generations of its citizens. Not just to get them to and from work, but also when they needed it most, in bad times and in good:- in the shelters in which they endured the Blitz and on the signage for the 2012 Olympics, to our knowledge the only two previous occasions on which its official use has been approved. With Johnston100, that voice will be London’s for many more generations to come. This article is set in New Johnston with the explicit permission of, and under license from, TfL. You can visit the Designology exhibition and find a range of Edward Johnston inspired products and gifts to celebrate 100 years of the Edward Johnston typeface at the London Transport Museum, as well as take part in Johnston Journeys at the Depot. Regarding the “in association with” credit though, I think LR should be if this is paid-for advertorial (or “native advertising” as it’s sometimes now called), or not? To clarify, no money was paid – they just helped us out with an awful lot of images so we wanted to credit them as a thank you. Basically if something is paid content we’d obviously clearly mark it as a sponsored article so it’s clear. I believe x height refers to the height of a lowercase x rather than the top to bottom height of the tallest strokes (such as the tall vertical bar in a h). Pedantry, but surely “Trigger’s broom” not “triggers broom”? @Ben – I took the reference to the lower-case ‘h’ to be to the height of the horizontal stroke roughly in the middle? You’re absolutely right Ben – corrected. The x-height refers to the height of the letter x (lower-case) as this is the only letter that is level at top and bottom. Other letters such as o are both slightly deeper and higher so that optically they will align properly. Letters with ascenders such as h are described as h-height, whilst those with descenders such as y are referred to as y-height. There are other measures which are used, but, I don’t propose to look for typeface and settings books which contain those details and are hidden somewhere in the loft! Fantastic news! And a great text to introduce it. Reading your articles is a tremendous pleasure. Another great article, nicely set too. I have been enjoying taking part in TfL celebrations, Johnston Journeys, presenting my work on New Johnston. Time passes! Johnston 100 does many of the things I would like to have been able to do, and it is wonderful to see Johnston continuing to shine through, whatever we designers do! In 2012 I designed CCArtSans, without the technical and social constraints I had worked with for New Johnston. Have a look. It’s lovely to see that TfL is proud of its typeface heritage – and happy to invest in making it fit for the future. Thanks for the link, I’ve added the PDF to my collection. “decisionmaking within” – space needs inserting. come in the” – think you’ve got a rogue “carriage return” in there. I wonder why is there both Johnston100 Regular and Johnston100 Medium? In other contexts “regular” is just American/M&S-speak for “Medium”. Is medium the new bold? @Eiichi I’d be fascinated to know what the technical & social constraints when designing New Johnston were. Great article & follow-up to the first. Yet again I’m sure the decision to rehash rather than ditch Johnston will be seen as a masterstroke in the future. A couple of question however, is this the first official release of Johnston100 or has it snuck into TfL documents without my notice? Also how often has Johnston been used as a typeface not by TFL/LU? It can’t have been often, therefore congratulations to JB & all at London Reconnections that TfL felt you were worthy custodians to be allowed to use it! A couple of question however, is this the first official release of Johnston100 or has it snuck into TfL documents without my notice? First official release (anyone who’s wondering why I wasn’t at the last LR meetup – this is why). 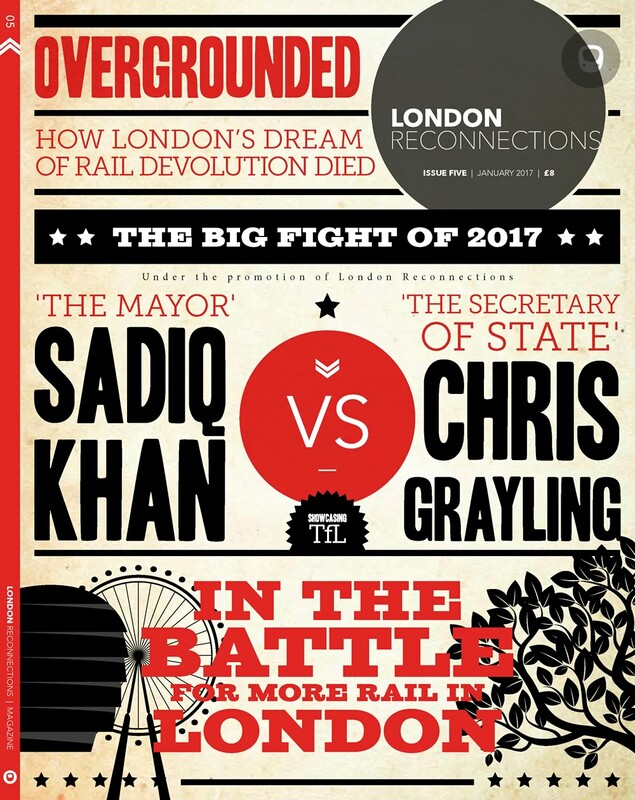 Lovely article – a fascinating subject and so good that TfL have committed to continue using this font into its second century! By the way, the Euro symbol was mentioned as an example of a new character early in the article but no mention later on, nor in the Monotype character sets – can you advise if a character been commissioned or one for the yen etc etc? So much material is translated just for tourist use one would assume so, along with umlauts and so on…. Fantastic writing. The respect and affection for the font both from TfL and from your goodselves shines through. Will Johnston100 really be in use across the Elizabeth Line from Day 1 ? Isn’t some of the signage already in place, and presumably using New Johnston ? A great article & I liked the Tweet. Principles not Principals in the quotation from the head of design, please? Surely small s for ‘said’ after a comma in the middle of reported speech? That presumably explains why the cost of Lizzie Line rebranding is aparently nil if you are going to have different budget for font replacement! This shows that, even with “everyone” using home-computers & printing stuff off, that good design is still not appreciated by vast numbers of people. And good graphic/printing (as in Typeface) design is even more necessary, & also all-too-often ignored. I particularly liked the “BBiigg” demonstration of the oh-so-subtle differences in the letter-forms. Talking of which, shouldn’t “LR” change its typeface to a friendlier version – possibly “CC Art sans” or a n other really-readable font, & if not black-letter, at least a significantly-darker grey presentation. Sauce / goose / gander comes to mind? Webfonts are a complex subject on which I could write a whole other essay! Andrew S: Where a typeface family has both “Regular” and “Medium”, “Medium” is generally slightly heavier than “Regular” (but still lighter than “Semi-bold”). For info, back in the days of older Windows systems (I forget whether 3.1 or 95), LU got some of the Johnson fonts put onto the business computers with the expectation that they would be used in reports etc. Sadly, something was wrong with the coding and opening any of these old documents on any later computer, TfL or not produces gibberish. Currently it shows Wingings or something like it and if you select all the text, and change to something like Ariel, all you get is lots of small squares where the characters should be! Is it possible to use the new Johnston 100 font for all future LR web articles (or even retroactively, if it’s only a font switch button)? I’m assuming this font meets Greg’s readability requirements… Or was this font on LR just a one-off for this article? Not sure what you mean. Where’s the fantasy? Pedantry aside, I do like to read about the details (thanks, one and all) even though I wonder about the significance of yet more details which are probably unnoticed by the travelling public. Really interesting article so thanks for sharing. It’s reminded me of something I’d always thought looked out of place. Are the platform signs at Waterloo on the Jubilee line (the ones at just above head height running the whole length of the platform) in a ‘non-standard’ font? I’d always thought they stuck out with the text looking different (to other stations including on the JLE). My basic understanding of copyright law may let me down here, but is it correct that both the typeface (the artistic work that defines the shape of the characters) and the font (the block or software that prints the typeface to the page or screen) are subject to copyright for 70 years after the death of the author/artist? If so, did the original typeface produced by Johnston (d. 1944) fall out of copyright in 2014 or have TfL found some way to keep it in copyright? I wondered why the planned changes to bus routes document was now in the new format. @100and30 – I remember that attempt at using New Johnston on work PCs and the resultant gibberish if you changed things or altered the fonts or loaded the document on another PC that somehow didn’t recognise the font. Dire stuff. There seems to be some confusion about the font of the article. At the end of the article it is clearly stated that “This article is set in New Johnston with the explicit …”. New Johnston is not the font under discussion, however. I think when John Bull refers in a comment to “First official release “, he is referring to the font which the article describes – Johnston100 – (rather than the font in which you are reading it). But then LBM (perhaps due to the confusion I refer to, or perhaps not) refers to “..new Johnston 100 font “. It’s never a good idea to name something “New X”. Because one day, if the something lasts, it will cease to be New. Perhaps John Bull could clarify this, as I may be overthinking it. This article is set in New Johnston (i.e. 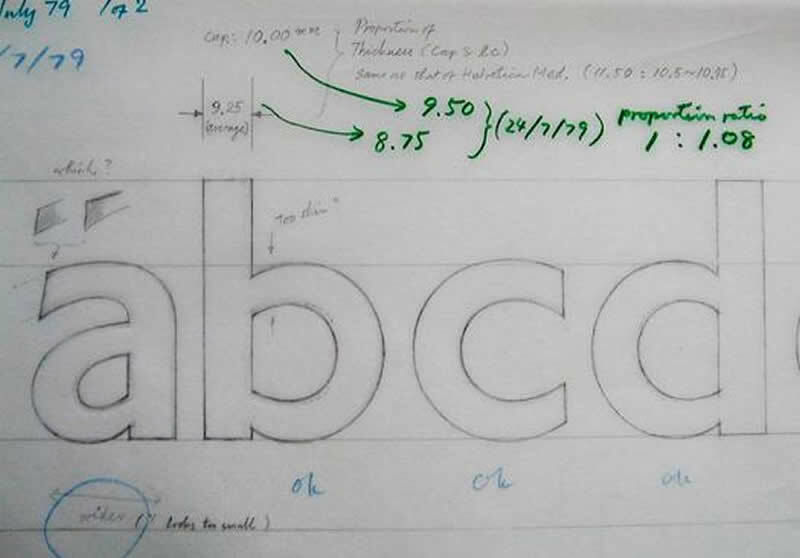 the typeface first created by Eiichi Kono). TfL were kind enough to grant us a one-off license to use it on this specific article. That in itself is an honour, as over its 100 year history you can (quite literally) count the number of times an ‘official’ version of Johnston has been sanctioned for use outside of a TfL/LU body on the fingers of one hand. Johnston100 is not used anywhere yet. It will debut in July. So no use of New Johnston on the site going forward, but then I wouldn’t want to – after all the fact that it’s not really best suited for heavy use in digital formats is precisely why Johnston100 was commissioned! As I say, web fonts are complex and what looks good on one device can easily look terrible on another device or browser. Here on the site, we use two fonts from Hoefler & Co. that are specially optimised for screen to try and render with high readability on the maximum number of devices – Mercury (the body serif) and Gotham / Gotham Narrow (the sans-serif, for headers and actions). Always worth remembering that if you are one of the people who finds full sans-serif more comfortable to read, you can flip the entire site to that, just for your device, under “options” in the top right corner of the homepage and articles where the menu bar appears. If you’re dyslexic, you can also flip the site to use OpenDyslexic (in most instances) the same way. Like I say, I think about typefaces and fonts a lot. Trust me – like railways this is one of those areas where it’s way more complex than most people think! “New” – indeed – which is why New College Oxford is now the second oldest in the university. Gotham is an appropriate font for a transport site, as it was inspired by lettering on the façade of the Port Authority Bus Terminal in New York. Ian J Helvetica is also widely used in the transport field, as the article notes. @ Timbeau time for a change to Winchester College Oxford perhaps? Plenty of other geographically based college names there. @OB: the replacement of Jock and Margaret Kinnear’s Rail Alphabet by a random selection of other typefaces, including Helvetica, is a perfect metaphor for the dis-integration of the national rail network since privatisation. Ian J: completely agree re: random selection; I don’t dislike Helvetica in its place (eg Zurich Airport). Yet more evidence that the user-focused design approach of TfL which we are celebrating here is superior. I’ll see the Kinnears & raise you Margaret Calvert. Given the buckets of prescription in the faux-capitalist franchising system we could’ve kept the Rail Alphabet. I would also give credit to EWS for creating a strong brand identity. I trust and hope that “monopitch” digits (or equivalent spacing mechanisms) are also available for use when necessary. Consider in a timetable, a time of “1026”, with a time of “1126” directly below it. If the left and right ends of these times do not line up, I am not impressed. I knew I should have double checked Margaret Calvert’s surname! As a pioneering woman in graphic design she would have been livid (note that it’s the girl who leads the boy in her “schoolchildren crossing” sign). Eric Gill was a student of Johnston, & Gill Sans was taken up ( Indeed partly commissioned) by the LNER, who then used it almost as uniformly as LU used Johnson. Would that DfT directed the TOC’s to use a uniform style of clear singage. Not going to happen though, I fear. 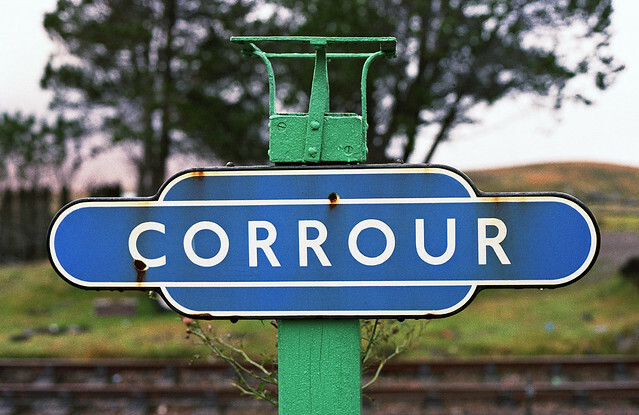 @OB/Ian J – the blue used in the SWT signs seems a shade or two darker than the blue used by LT and appears to weather to a shade verging on dark navy (cue a discussion about the use of enamel signs versus vinyls). Like OB I find that darker background, coupled with a condensed typeface, less easy to read than Johnston on “tube blue”. (LT did extensive research into the legibility of different colourways on bus blinds before the war and concluded that white on blue – admittedly backlit – was better than white on black, so the dark navy option would seem to confirm that finding). Thank you for a good article – not an area I have delved into extensively but one I do care, like JB, about a lot. The diagrams showing the relationship between the successive iterations of the Johnston type face were especially interesting. @Graham H: white on blue was also adopted for the Calvert/Kinnear motorway signs because research suggested that was the most readable combination at speed – but that is a lighter shade still. I suspect standardisation will occur on a regional basis – devolved authorities are keen to impose their own look on things at the expense of franchisees’ identity – Scotland and London now have their own mandated branding for the franchises they specify, and I expect Wales and the North will follow. So white on blue for London suburban stations is probably here to stay, but in the form of Johnston 100 on roundels. A number of comments about grammar have been removed, to make space for serious comments about the content of the article. takes you to an older set of service changes covering the period from 30th April until 4th June, the one they did have covered the period from 20th May until 1st July – so the link won’t make much sense now. Re National Rail signage, at Clapham Junction many of the general signage items have been changed from white on blue to black on yellow in the last month; to me, at least, much more readable. GT 00.11, Briantist 10.01: NBfL, NTfL. Slightly annoyingly, I actually paid for a copy of the official font some years ago so once it becomes available (from Monotype?) I’ll need to get the cash out again. Copyright in written works normally lasts 70 after the death of the AUTHOR – not the owner. It matters not whether it was commissioned. But there are special provisions for typefaces- like other “utilitarian objects”, copyright in their designs lasts 25 years from first public use. Section 54 of the Copyright, Designs and Patents Act 1988. I had assumed his nom de guerre was chosen precisely because of his evident deep knowledge of the subject, rather than a reference to England’s equivalent of Uncle Sam. strawbrick 21:43, I still have genuine aforementioned kit in my architect’s practice. It’s kept on a shelf full of splendid curiosities that we call ‘the museum’, which includes french curves, eraser shields and the like. I don’t underestimate the amount of design work this would take to do successfully. Maybe not visible to many as newer browsers try to correct HTML errors. This article is typical of why this website is in my top five. Thank you, John Bull. Would have been ? Could still be – she’s still very much alive. And recently (2016 Birthday Honours) an OBE. And a railway and fonts connection – her Calvert (Monotype) is the font on the Tyne and Wear metro. strikingly sans-serif typeface from 1920. As a post-Worboys child, I grew up with the globally significant British road signs; to become a draughtsman, engineer and road safety specialist. Fascinated with order. Johnston’s work presents digital communication to our analogue mind. The Johnston typeset offers comfort in an environment that is alien to humans. I am glad that it has survived stylisation once again and I look forward to NOT noticing the changes wherever Johnson100 appears. My opinion of ‘x’ height is cruder, being the height of the body of lower case letters. A great read, the only thing that stopped my flow was ‘triggers broom’. Believe me, you would not want to go back to the pre-Worboys signage. It’s a great pleasure to see the current level of interest in my grandfather’s work for Frank Pick and the arrival of ‘Johnston 100’ seems to confirm that ‘London’s Handwriting’ still has a bright future. So warm congratulations to the team from Monotype, to Eiichi Kono for saving its life when under threat in the 1970s, and to the senior managers at LT and TfL, past and present, who kept the faith and ensured its survival. In her biography ‘Edward Johnston’, his daughter Priscilla quotes a rare moment of personal pride by her father when he told his calligraphy students ‘if you know where an omnibus is going you owe that to me, because your fathers and mothers did not ever know where an omnibus was going: you could not read the letters’. It’s good to know that a century after its creation, passengers on the new Elizabeth Line will still be guided by his beautifully simple but effective lettering. Is there a way to download that new “johnston100” font? Andrew J 13:11, Thanks for the link. It’s great to see the bus blinds in such good hands, and all the meticulous work on the Condensed font. I had also often been wondering what work has been going on in the background concerning high definition electronic display versions, and now we know. The article I wrote for Letter Exchange Yearbook 2013 “Dear Mr Edward Johnston” would tell you a bit of background. @100andthirty : Yes, I discovered that the original NJnewjohnston TruType font sets had been encoded as “Arabic” rather than “Western”, which meant that even though the keystrokes were mapped to the correct letterforms, neither were mapped to the correct Latin letter. They all mapped to the codes for various Arabic glyphs! That’s why I wrote a VBA macro to go through such documents and replace the NJv1 characters with NJFont98 equivalents, converting the ASCII code at the same time. This had to be done before attempting to change to another font like Arial because, as you say, you’d just get squares. And once that was done, changing back wouldn’t bring the codes back! Generally – both this article and TfL’s official promotion of this whole exercise is all actually incredibly misleading. They claim several untruths – firstly, that Eiichi Kono’s creation is what has been used since 1979 until now – whereas his, original version of New Johnston is in fact VERY different to what we’ve seen since 1998. If you look at posters from the 80s and posters from the late 90s and the 2000s onwards, you’ll see that tails and curves are a lot tighter and truncated in Kono’s version, and the move to digitisation actually took “New” Johnston away into a “New New” Johnston, the differences in which seem to be glossed over and ignored, as if to say it’s Kono’s work that’s become outdated. In fact, Johnston100 is not so much as going back to Johnston’s own drawings – that may have been the driver, but it’s not the result – Johnston100 Regular and Medium actually much more closely resemble Kono’s New Johnston of 1979. The Medium/Bolds that Kono designed were very rarely used in the 80s – it was most often the Condensed equivalents that were used instead. Look at any pocket map from the 80s for instance. When you do see New Johnston Medium in large-scale headline print from posters of the 80s, you see the kerning is much tighter than it ever was from 1998 onwards, the letters sit far more snugly together. In both 1998, 2004 and in (as yet another revisionist gloss-over) the later revision (that nobody talks about) from 2008 where the serif was lost from the number ‘1’, the number ‘4’ became triangular again, and the diagonal angles in the end-slabs of the number ‘5’ and ‘7’ were made more acute, all of these things that took Johnston away from the cosy, strident typeface that it had always been, EVEN under Kono, became diluted. Not only have the letterforms become rather less curvy in the last 3 revisions, the kerning has been progressively loosened – lots of dead space between each character. Check out the difference, for instance, between line diagrams on platform walls – the version of New Johnston that you see on the diagrams from the late 80s/90s/early 00s that feature the coloured interchange pointers eminating from the black interchange rings, versus the ones that don’t. The ones that DO have very cosy kerning, and letters that look like they live together in the same family, whereas the latter ones have letters that look like they’re all trying to slide away from each other like sweaty commuters on a rush-hour Central line train stuck between Chancery Lane and St. Paul’s. In my view, Johnston100 is *really* just trying to get back to where New Johnston already was, and yes, fill in the gaps, but to try and undo the much more recent, post-Kono changes. But one last thing – about the concern about over-use making it lose its power – I’m a strong believer that the best Design Idiom typographically that LRT had was when they paired up New Johnston with a selected serif font – firstly Clarendon Light, then later Bembo Light (mostly Italic but not always). This meant the classic font that says “We are London Underground” or “We are London Transport” was kept strictly to the high-impact headline material, whereas body copy was seen as not to compete with this, and to move away from the oratorial tone and into the conversational. I still actually believe Johnston of any flavour would work best if used for just the high-impact typography and not for paragraphs/prosaic text. One thing I will say though – I’ll be glad to see the back of New Johnston Book. An absolute travesty – especially when used on posters and *especially* when emboldened on posters for headings – DLR are particularly bad at this – when surely using NJ Light is the thing to do if needing to add emphasis to a heading that’s “not quite important enough for Medium”. @ Mark Boulton – Can you direct us to any specific examples of the changes in the last few years that you are referring to, maybe online photos or something? It is an interesting but rather detailed account which has left me rather confused. Thanks. Notice the rounder, less flattened-off curves, and much wider spacing, in the latter. A fascinating and elegant tweet-printing machine shaped like the Transport for London roundel has been designed by Florian Dussopt to celebrate the 100 year anniversary of the Johnston typeface, and can be seen here https://www.designweek.co.uk/inspiration/tfl-roundel-twitter-machine-florian-dussopt/.